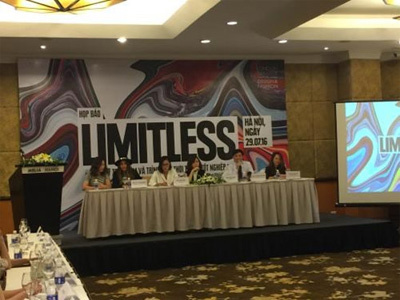 Dozens of creative and trendy fashion designs will be introduced at the Fashion Show and Exhibition 2016 entitled “Limitless” which will be held in Hanoi on August 6-7 by the London College for Design and Fashion Studies-Hanoi. Speaking at a press conference on July 29, the college’s Managing Director Ha Thi Hang said the event will bring together 15 young designers with 15 different start-up ideas. The event will also open an opportunity for designers to exchange, meet enterprises and learn about the market’s pragmatic demand. Designers with outstanding collection at the event will be selected to join the London Fashion Week in the UK next May. Visitors to the event will have a chance to learn about the training work from entrance to graduation as well as receive free consultations on personal style./.